The truth is, many enterprises large and small have been struggling with finding the appropriate use cases for new and emerging AI technologies. Companies need to find the workflows inside their business models that can benefit from AI. Only then can they start to architect towards turning those operational throughputs into truly digital workflows. Human Resources is often looked upon as a sort of necessary evil in every business. But that couldn’t be further from the truth, as cutting-edge technology is helping HR departments in companies of all sizes evolve into a field that is equally relevant and innovative. Tech including artificial intelligence (AI) and blockchain are helping to streamline HR processes, while cybersecurity is taking the front seat where company data and privacy is concerned. Here’s what you need to know about how an HR department can harness the power of new tech to change its influence and impact within companies, and by extension its reputation as a whole. A big part of the job in HR is keeping employee personal data secure. In our digital age, it’s easier than ever for cyberthieves to hack into data systems. That’s where cybersecurity comes into play. As an HR professional, it’s your job to hire individuals who are educated in the latest technologies and equipped to protect the organizations they work for. This can be especially challenging if you have staff members working remotely. Remote workers are increasingly becoming the norm rather than the exception, with more than 40 percent of workers reporting that they perform some remote duties. As an HR rep, it’s your job to clarify policies and provide resources for remote employees so that they understand how to protect themselves, as well as company data, while working remotely. It’s also your job to anticipate and identify potential security issues before they turn into a major problem. Your company may even consider putting together a cybersecurity team to address today’s security needs. A cybersecurity team is made up of individuals who are trained in information sciences and cybersecurity. Typically, those professionals are up-to-date on the latest equipment and technologies in order to effectively perform their duties. Some companies are taking the cybersecurity hiring process even further by designing and building a cybersecurity control room. This move highlights the vital role a cybersecurity team plays in day-to-day operations. HR professionals should work closely with their cybersecurity team in order to answer any question that may arise. AI use in HR starts with the hiring process. Automated software can help narrow down candidates without bias, based on information provided by potential hires. This is where amplifying comes in, as automated screening amps up the capabilities of HR professionals. With AI, corporate training and payroll are augmented and automated. The use of AI reduces the chance of human error and keeps HR reps accountable for the data collected and processed. AI also allows for better tracking and accountability of remote workers. Utilizing AI is a smart move for every business since the technology is becoming so ubiquitous. According to Personnel Today, nearly 40 percent of businesses were already using AI in some form as of 2017. A further 62 percent said that they expected to adopt AI into their business model in the near future. Payroll is an intrinsic part of the job for many HR professionals. And in today’s landscape of digital payments and other currency forms, payroll may seem more complicated than it has in the past. If your business has remote workers on your payroll, chances are some of them are part of the emerging bitcoin and blockchain revolution. But what does that mean for you? Put simply, bitcoin is a form of digital currency, and a blockchain is an encrypted digital ledger of those funds. Data indicates that about 28 million people around the world have a blockchain wallet. On the business end, more than $110 million in bitcoin payments are made every month. These numbers are growing, and HR professionals should have at least a basic understanding of blockchain technology. Savvy business owners and HR techs should keep payment methods flexible and able to incorporate bitcoin and blockchain as needed. There are now more than 1000 types of digital currency that can end up in a blockchain, worth a grand total of more than $22 billion. That’s a number that’s hard to ignore. While your company may be years away from adopting blockchain technology, it may be prudent to put together employee training sessions that revolve around digital currency, including bitcoin. 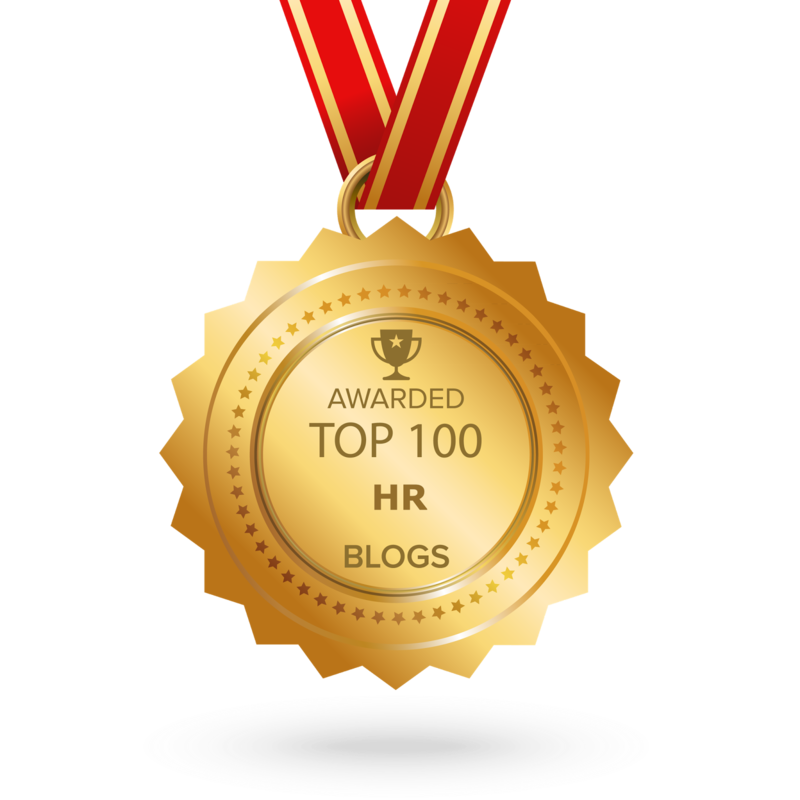 Our modern digital age has brought numerous, exciting changes to the realm of HR. Corporate data privacy issues and security training are increasingly part of an HR rep’s job description, alongside recruitment and payroll. Those duties are becoming easier, thanks to the automation, innovation, and augmentation found in new tech such as AI and blockchain. There are a lot of misconceptions concerning artificial intelligence circulating in public discourse. Classical works of science-fiction have taught us to think about A.I. either in terms of killer robots, god-like computers, and sly androids, or as the saviors of mankind in the form of automated workers, benevolent star-ship operators, or friendly house servants. The truth is, at least in the present moment, that contemporary artificial intelligence systems are much less proficient at things we thought they would be good at according to works of fiction. However, they are simultaneously pretty skilled and efficient at performing other kinds of tasks, albeit ones which are not as immediately awe-inspiring and spectacular. There are many websites that deal with improving your business in different ways, such as Bootstrap Business, however, in this article, we will examine how artificial intelligence is being introduced into the realm of everyday business operations. While these applications of A.I. might not seem impressive at first, they are nonetheless transforming the way we work in important ways, and here is how. One of the defining features of A.I., and computer science, in general, is the use of formal syntax. Code is structured according to a strict set of rules, which is what allows it to communicate with hardware in order to perform particular tasks. A beneficial side-effect of the formal nature of code is that it is especially suited for working on problems which are expressed in a similarly formal language. This is why computers are so good at doing math. A less obvious example of where the computational power of A.I. can be used is in the legal profession. The law is also a system of strict rules and regulations, which are expressed in precise terminology. This makes it suitable for machine analysis. For instance, court rulings can be analyzed for particular terms in order to find a common pattern, i.e. that cases which involve a particular offense are more likely to be resolved in favor of the defense. A.I. systems can go through millions of case files in a fraction of the time it would take a person, giving legal experts a powerful tool for understanding and predicting court outcomes. Not only can A.I. assist with analysis, it can also produce data of the same kind it analyzes. By establishing that there are patterns in the way particular kinds of language are used, the A.I. gains the ability to mimic them. For example, if you feed a large number of similarly structured financial reports into an A.I. capable of machine-learning, it will eventually figure out how to write them itself. To give you an idea of how this works, imagine you have simple spreadsheet document with one column representing countries, and another representing their GDP. We can use this document to reach and express certain conclusions, such as that the GDP of the USA is bigger than Brazil’s for instance. However, doing this for every possible relation between the given data would take a long time to write for a person. Fortunately for us, an A.I. can figure out that the formal relation between columns can be expressed in a natural language such as we used above. This makes it possible to automatically generate things like financial reports, meteorological predictions, email invitations, etc. Should this spark your interest, a plethora of good advice can be found on Infinigeek. Another area where A.I. found its use is in automating standard office procedures. The functioning of every workplace depends on a host of repetitive activities which are not directly related to the services a company provides, but are nonetheless essential for everyday functioning. This includes arranging meetings, communicating memos, keeping track of case files, finding relevant documents, replying to common customer etc. This used to be the task of various middle management types, but recently virtual A.I. assistants have started taking over this line of work. Keeping track of important but uninteresting information is something A.I. excel at, and people find boring and mundane, so it makes sense to leave this kind of work to them. In other words, A.I. assistants can work in tandem with IT services departments to drastically reduce office busywork and red tape through technological means. This allows employees to focus on solving challenging, creative tasks, instead of concerning themselves with trivial work. A.I. systems are making more and more inroads into the world of everyday work. And yet a lot of their potential still remains completely untapped. While it is hard to make concrete predictions about what the future holds for, we can at least be certain that it will involve more and more A.I. in the positions of fellow workers, instead of just tools. The emergence of Artificial Intelligence (AI) technologies in the past years has profoundly impacted a tremendous number of companies and sectors. Take the example of supply chain functions – these have been completely reshaped and fully robotized warehouses are now the new standard. In parallel, other support or corporate functions have also caught this technological wave, but not with the same speed and pace. Human Resources today are the perfect illustration: the shift towards Digital HR has started for pioneer organizations, but the majority of companies are still in the reflection and conceptualization stages. On one hand, there is an overwhelming feeling related to the immensity of ‘the possible’ in terms of HR technology offerings, and on the other hand, there is a need to answer growing expectations from an evolving workforce. Today, HR C-levels are facing a common main equation: Ensuring that HR roadmaps will become even more relevant in the C-suite and help streamlining organizations while improving the employee’s experience. But how are AI technologies concretely impacting the HR community? Beyond the reflection and conceptualization stages mentioned earlier, AI is clearly acknowledged as a critical component of the future HR service delivery model. Most of discussions today are about how to incorporate chatbots, robots or other cognitive solutions within Human Resources departments. Robotic process automation (RPA) is a new norm today. Any process optimization exercise almost always considers robotic automation as a solution. In this context, almost all HR processes are subject to automation. The main recurring ones that we observe are related to recruitment, core HR administration, compensation, payroll and performance, but all HR processes that require significant manual input are candidates for automation. Chatbots are also getting a lot of traction. For example, in the HR space, chatbots are replacing traditional FAQs. Cognitive chatbots can also be trained by humans in order to improve their correct answer rate. This is a real game changer and robust accelerator to change the employee experience. Robots are less and less considered as exhibition gadgets and can now be found in some HR front office departments. Voice assistants on mobile for any employee, anytime, anywhere are becoming more common – say hello to the new HR ‘Siri’. A vacation request for example can then be part of a quick phone conversation, instead of several less efficient transactions involving HR systems and emails. What we are observing, is that AI technologies are becoming fully embedded within the HR community. The initial doubts and fears have been overcome by most HR professionals and AI is recognized as a real added value to the employee. The HR operating model shift is ongoing and we are only at the early stages as the technological change is evolving at an exponential speed. Tomorrow new Artificial Intelligence offerings will emerge and will continue to reshape HR departments. The jobs market remains buoyant, emphasising the need to increase efficiency in hiring processes and improve retention levels but without taking responsibility for its data, achieving these goals will remain elusive and threaten HR’s survival. The Recruitment and Employment Confederation’s (REC) Report on Jobs last month revealed that permanent placements rose at their highest rate in over two years in July while the availability of temporary and permanent candidates dropped again. An increase was also reported in salaries for all new hires. This news comes as the CIPD reports that analytics and AI were named as two of the top three most disruptive issues facing HR during a panel debate at the University of Bath. The contingent workforce was the third. ‘Ownership of data’ was highlighted as a specific issue as the nature of the jobs market and the working environment are both relentlessly disrupted by technology. CIPD Chief Executive Peter Cheese also observed a ‘complacency’ surrounding technology. Without taking ownership of data it is impossible to understand what is happening in your hiring process or improve falling retention levels among new hires. This is a particular problem in the UK as nearly half of all employers are failing to address the impact automation and AI will have on their business. Align your recruitment planning with business objectives: Talent acquisition strategies should be aligned with the overall objectives of the business but nearly a third of hiring teams don’t have a strategic workforce plan according to a Korn Ferry report. Collaboration is essential to implement effective talent planning and must be supported by technology. Use applicant tracking software: The first step towards effective use of data is the implementation of a modern recruitment management system yet nearly half of employers don’t use applicant tracking software in their recruitment strategy. Without it, gaining an accurate understanding of what is preventing your business from hiring talent is impossible. Vital recruitment metrics enable HR to evaluate and improve hiring success yet too many hiring teams lack this vital knowledge. Evidence based decision making is critical to creating a talent acquisition strategy that works. Acknowledge the mobile job search: Only just over a quarter (28%) of companies use mobile technology in recruitment yet the rise of mobile job search is one of the most prominent tech trends affecting talent acquisition. By integrating a mobile responsive hiring process your ability to hold on to the qualified candidates in your recruitment funnel will improve – it is a straightforward step available through your recruitment software. Additional issues complicate HR’s ability to take ownership of its data. The effectiveness – or otherwise – of HR functions also affect this area. A new survey from ViewsHub found that HR departments in technology companies were rated as the least effective and notably below the industry average. Professional service companies and retail also recorded low rankings which were based on three key criteria, namely, the ability to get things done, their technical ability in their jobs and their responsiveness to other teams. HR functions in the travel and food sectors ranked highest in the survey. Become more agile: An article in the Harvard Business Review, suggests that a lack of agility is holding back HR’s ability to adapt to disruptions. It proposes that HR should operate in ways that respond to ongoing changes in culture and working style – which includes developing a tech-centric culture. This is evident in tired recruitment processes that bear no resemblance to the job search habits of today’s candidates and are based on assumptions that the labour market still favours employers. An agile HR function increases efficiency in hiring and ultimately productivity. Relinquishing your reliance on manual recruitment processes will enable that and improve the ‘effectiveness ranking’ of HR departments which are struggling to respond to the needs of their business. Use data to understand the jobs that make a difference: McKinsey suggests that 5% of jobs create 95% of the impact within an organisation. Those exact jobs are different for every company. HR analytics will help your business to identify your roles which fall into the 5% category and focus on sourcing the talent for those positions – and improve the effectiveness of HR. Taking ownership of data and avoiding complacency around technology is key to this. Take ownership of your data. Invest in world class recruitment software used by some of the world’s leading organisations to manage their entire talent recruitment systems. Contact Advorto today. This article first appeared on Advorto's blog. 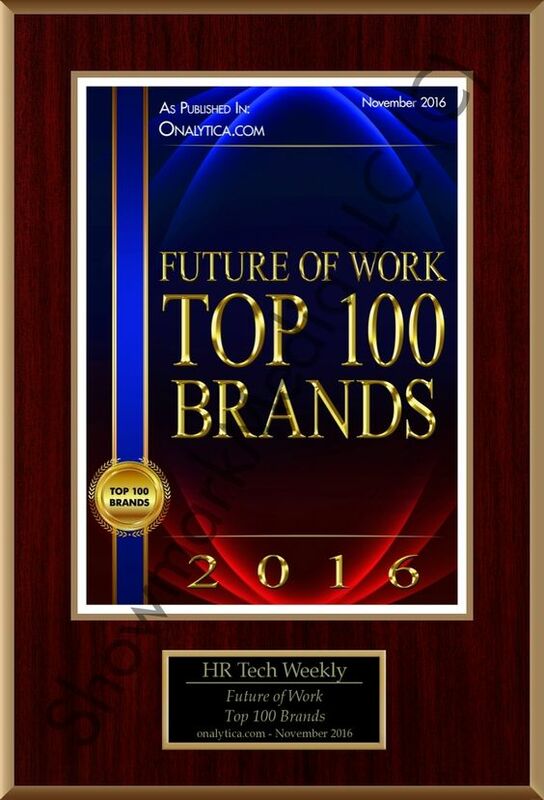 If you want to share this article the reference to Kate Smedley, Advorto and The HR Tech Weekly® is obligatory. As a recruiter, have you ever had an intern? It’s awesome. They take on many of the tedious administrative tasks that typically take up so much of your time. They assist with everything from processing applications to coordinating interviews and compiling applicant profiles for hiring managers. Then they leave for the Summer. Suddenly all those tasks are put back on your plate. You now have to cut back on one-on-one time with candidates. You’re back to scheduling interviews and filtering through application after application. Gone are the days of complete, uninhibited focus on building relationships with candidates. Gone are the days of getting ahead of your hiring managers’ needs. But with AI interns, you get the best of both worlds. Artificially Intelligent (AI) interns share many of the qualities of their human counterparts, except they’re in it for the long haul. AI is impressionable, sponge-like and eager to learn. With AI interns, you get all the benefits of having human interns and none of the downsides. AI doesn’t take lunch breaks or Summer Fridays. This is what inspired our beta testing program, aptly titled the Wendy Internship Program. Wendy is our conversational AI chatbot for recruiters. Wendy is young and eager, like an intern. She melds seamlessly into your existing workflow, easing burdens and lightening your workload along the way. This an example of how Wendy starts a chat with an applicant. Allows for more data-driven decision making — Wendy is able to gather information not found in applicants’ resumes. With these enriched applicant profiles, you can make more informed decisions about who to interview. Increases your bandwidth — Rather than going through countless email exchanges and phone screens, you can allocate that time to other areas, like sourcing and building candidate relationships. Wendy also handles many administrative tasks, like scheduling and updating applicants. Improves applicant engagement — Because Wendy can engage every single applicant, applicants no longer experience the “ATS black hole.” Unlike humans, Wendy never sleeps — meaning she can screen applicants at any time of the day and even on holidays. We are currently filling out our Wendy Internship Program and looking for the next class of companies who are excited to help us train Wendy. If you’re interested in adding Wendy to your team, sign up here. Bailey Newlan is the Content & Growth Marketer at Wade & Wendy, a New York City-based startup on a mission to make hiring more human. Wade & Wendy is a conversational engagement platform for recruitment automation. To connect, reach out to Bailey via LinkedIn, Twitter or Medium. Leading AI based assessment platform from Bangalore announces integration with the top ATS provider in Silicon Valley. Bengalūru, September 1, 2017 — Interact, the leading AI based smart assessment platform from Xobin, and Greenhouse, the world’s leading recruitment platform, today announced an integration. This integration adds intelligent proctored assessments in every software skill for human resource professionals using Greenhouse’s platform. Hiring doesn’t have to be crazy. All growing tech companies run into the same fundamental problem while hiring — UNCERTAINTY. Uncertainty about time and money spent. Interact makes creating and conducting online Assessments easy for recruiters. Its secure environment verifies the integrity of the submission with the keyword pattern analysis and eye motion tracking. Add that to the fact that recruiters can send out invites to all their prospects in a single click, and Interact becomes doubly efficient. With a Candidate Journey and Code Playback, recruiters will have the same degree of trust as if the test was taken in front of their eyes. This removes the necessity of a secondary verification of skills. Thus, saving loads of time per hire, freeing the schedule up and improving productivity. This also ensures that only the most qualified candidates end up being hired. “Interact is a platform for secure and fast hiring. It uses AI to block improper test attempts. This gives candidates the comfort needed and the recruiters the authenticity they need”, says Guruprakash, the CEO of Xobin. Interact is a comprehensive recruitment suite for companies to find the right tech talent in a secure, authentic and super fast manner. The AI powered Platform uses Pupil Tracking and Keying Pattern Analysis to ensure Candidate integrity while taking an assessment. With a vast library of application and coding based questions, Interact helps recruiters create assessments that are tailored for the candidates and helps them find the best fit for any given role. Greenhouse Software designs tools that help companies source, interview, hire and onboard the right talent. Headquartered in New York City with an office in San Francisco, Greenhouse was founded by Daniel Chait and Jon Stross. Recognized as the 2017 Best Place to Work in the U.S. by Glassdoor, the Greenhouse team currently works with over 2,000 of the world’s most innovative people-driven companies, including Sony, Airbnb, Slack, TIME Inc. and more. Technologies in the field of data science are progressing at an exponential rate. The introduction of Machine Learning has revolutionized the world of data science by enabling computers to classify and comprehend large data sets. Another important innovation which has changed the paradigm of the world of the tech world is Artificial Intelligence (AI). The two technological concepts, Machine Learning and Artificial Intelligence, are often used as interchangeable terms. However, it is important to understand that both technologies supplement each other and are essentially different in terms of their core functions. It is often predicted by technology enthusiasts and social scientists that human beings in the workforce will soon be replaced by self-learning robots. It is yet to be seen whether there lies any truth in these predictions or not but for 2017, the following trends have been prominent in the development of Machine Learning. In 2016, we saw many prominent developments in the domain of Machine Learning, and numerous artificial intelligence applications found a way to our phone screens and caught our attention. In the previous year, companies just touched the tip of the iceberg and in 2017, we will continue to see more developments in the field of machine learning. Big names such as Amazon, Google, Facebook and IBM are already fighting a development war. Google and Amazon launched successful apps, which include Amazon Echo and Google Home, at the beginning of the year, and we have yet to see what these tech giants have in stores for their customers. Businesses greatly value data to take the appropriate actions, whether it is to understand the consumer demand or comprehend a company’s financial standing. However, it is not the data alone they should value because without an appropriate algorithm, that data is worth nothing. Peter Sondergaard, Senior Vice President of Gartner Research, says that, “Data is inherently dumb and the real value lies in the algorithms which deduce meaningful results from a cluster of meaningless data”. Algorithm Economy has taken center stage for the past couple of years, and the trend is expected to follow as we expect to see further developments in machine learning tools. The use of algorithm economy will distinguish small players from the market dominators in 2017. Small businesses that have just entered the transitional phase of embedding machine learning processes in their business models will be using canned algorithms in tools such as BI, CRM and predictive analysis. On the contrary, large enterprises will use proprietary ML algorithms. Google Home and Amazon Echo received an exceedingly positive response from the audience which made it evident that consumers perceive human-machine interaction positively. Innovative technologies embedded with machine learning processes prove to be helpful under various circumstances; for example, helping people with eyesight issues to navigate. But will they completely replace human-human interaction? Maybe 25 years down the road, but we do not see that happening anytime soon. Machine learning has made it increasingly possible for machines to learn new skills, such as to sort, analyze and comprehend. But nevertheless, there are certain limitations to it. Automated cars have frequently been tested, and even with modified algorithms and advanced technologies, the chance of an error is still present. This example alone is enough to convince that machines will not completely replace humans, at least not anytime soon. Machine Learning and Artificial Intelligence is a promising field with much potential for growth. We have seen some recent developments in the sector which, not long ago, people believed were not possible. Therefore, we cannot give a definite verdict regarding the industry’s potential for growth. However for now, intelligent machines are only capable of handling the repetitive tasks and can follow a predetermined pattern. It lacks the skill to figure out things which are out of the ordinary, and we still require human intervention for keeping the chaos at bay in such situations. If you would like to read Ronald van Loon future posts then please click ‘Follow‘ and feel free to also connect on LinkedIn and Twitter to learn more about the possibilities of Big Data . Business disruption is rampant—new business models, new technologies, a challenging economic environment, and the overall quickening pace of business are all disruptive to “business as usual.” Workforce demographics and trends—retiring boomers, high-expectation millennials, workforce-on-demand models, team-based work—are another disruption. It is incumbent on HR to find ways to “hack” these disruptions for their customers, leveraging the digital workplace to customize the HR customer experience according to each individual’s unique needs in the face of this almost constant change. To better understand how the next-generation digital workplace can counter disruptions by powering a deeply personalized HR customer experience, let’s flash forward about 10 years to 2027. This is when we could see the first cohort of Gen Z employees—engage in their organization’s open enrollment process for benefits. Workflow Adviser—assists the HR customer through the life or work event workflow using natural language, while automatically gathering data from disparate systems and tapping into available training, research, and operational services support resources. Solution Adviser—“understands” desired outcomes and leverages all available internal and external data to design and propose an optimized solution for the HR customer. Human Adviser—“empathizes” with the human emotions and feelings likely involved in the HR customer’s decision process, and provides support—or referral to an actual human—as required. Jamie, an employee and a new mom, along with her husband, Liam, kick off the enrollment workflow in Jamie’s digital workplace and are greeted by the chatbot who will be assisting them through the workflow. The chatbot explains that, set at the level of Workflow Adviser, it has the capability to listen, understand natural language, and talk back, and is also able to interpret the context of Jamie and Liam’s questions in order to suggest relevant training, research, or operational services assistance as they work through the open enrollment process. As a bonus, the chatbot explains, it has recently been upgraded to a beta version of the Solution Adviser level. So if Jamie would like to explore this advanced level of digital workplace engagement, the chatbot will be able to understand desired outcomes and leverage Jamie and Liam’s demographic, health, and financial data, as well as cloud-based benefits solution provider data, to effectively personalize a recommended package of benefits. Jamie authorizes the chatbot to use its Solution Adviser capabilities for her open enrollment process. After a structured conversation driven by the chatbot, she is rewarded with a customized portfolio of company benefits that are customized for her family’s unique health needs and financial resources. After a discussion with the Solution Adviser chatbot to clarify the details, Jamie verbally accepts the recommended portfolio of benefits and completes the open enrollment process. So, what’s going on behind the scenes in our futuristic scenario, and how far are we from being able to deliver this hyper-personalized experience? Let’s drill a bit deeper into the chatbot’s capabilities at the Solution Adviser level by considering one element of the benefits package—long-term disability insurance—the chatbot recommended. At the Solution Adviser level, the chatbot was permitted to leverage Liam’s personal health records, (which included information about a mild attack of unexplained vertigo that sent him to the ER six months prior), as well as financial income and liabilities information (indicating the couple was living paycheck-to-paycheck with very little savings). By leveraging this information, along with the context gathered through a structured conversation with Jamie and Liam, the chatbot was able to conclude with a reasonable degree of probability that covering a portion of Liam’s expected future income in the event of an unexpected disability made sense for the couple. Impressive to be sure. But this ability to use natural language to understand context in order to make reasoned judgments about desired outcomes isn’t even the end of the line. Interestingly, and perhaps just a bit frighteningly, true AI is reserved for what we call the Human Adviser level. Here, the chatbot actually understands the human situation, demonstrates empathy with HR customer feelings, and even engages in humor opportunistically to build a deeper bond of understanding with those it has been designed to serve. Of course, at this level of sophistication, the chatbot would also discern, given the nature of the HR customer’s questions, when a referral to an actual human on the operational services team may be in order. While the advanced cognitive and empathetic capabilities we are ascribing to our next-generation Solution Adviser and Human Adviser digital workplace chatbots are in the infant stages today, we are making rapid advances at the Workflow Adviser level of sophistication for Deloitte’s own digital workplace solution. As we increase digital workplace capabilities, however, we may find that the process of benefits enrollment itself has become disrupted by our technology advances, and a complete rethink of how benefits are packaged, priced, and administered will likely not be far behind. After all, disruption tends to breed more disruption—which, by the way, is why achieving sustainable HR is so imperative. Michael Gretczko is a principal with Deloitte Consulting LLP and the practice leader for Digital HR & Innovation. He focuses on helping clients fundamentally change how they operate, often working with large, complex, global organizations to guide transformation programs that enable HR organizations to reinvent the way they leverage digital to improve the employee experience and business performance. Daniel John Roddy is a specialist leader with Deloitte Consulting LLP and a member of the Digital HR & Innovation team. He focuses on leveraging his decades of global HR transformation experience to develop and promote thought leadership that helps create breakthrough opportunities for our clients. Written by Laura Mather, Founder and CEO at Unitive, Inc. (Talent Sonar). Every hiring team is asking the same question: is this candidate the right person for the job? This should be a fairly simple question to answer, but after the resume review and the interview are over, it’s become pretty clear that humans don’t always have the best intuition. Although we sometimes do get it right, sometimes just isn’t enough. Bad hires are hugely expensive for any organization of any size. Tony Hsieh, the CEO Zappos has estimated that bad hires cost the company “well over $1 million.” The US Department of Labor has estimated that a bad hire can cost a company at least 30 percent of that employee’s first-year earnings. While many companies are feeling pressure to scale and expand quickly, no company can afford to absorb these losses, especially when you factor in the time and energy your current employees will expend hiring and training them. Ineffective hiring techniques hurt your chances of finding great hires in numerous ways. Not only will you miss great applicants, or let qualified candidates get lost in the shuffle, bad hiring techniques can also translate into bad candidate experiences, meaning that you may be losing great candidates to competitors just because your hiring process was tedious or confusing. LinkedIn Talent Solutions found that a shocking 83 percent of applicants said a negative interview experience changed their opinion about a role or a company they had once thought of positively. Not only can a bad experience influence a candidate but a good experience can have an even stronger reaction: 87 percent of respondents to LinkedIn said that a good interview experience improved their opinion of a company they had previously doubted. When an unstructured and unreliable hiring process leaves candidates feeling confused, frustrated, or even disappointed, this can damage both our hiring outcomes and your company’s reputation. One study found that 72 percent of candidates who had a poor hiring experience shared that experience publicly on sites like Glassdoor. So how can you leverage the best in people analytics to create a hiring system that consistently yields great hires while also maintaining a positive candidate experience? The answer lies in the careful calibration of human intuition and machine learning. While our “gut instincts” are often wrong, good HR teams are able to combine those human reactions with great data and software that guide hiring decisions but don’t dictate them. For companies of any size, in any sector, the key to consistently successful hiring isn’t automation alone: it’s structure throughout the process and alignment at every level of the team from executives to managers and recruiters. Software can help combine these crucial components, ensuring teams are guided by the same principles and priorities so that candidates have uniform, positive experiences. Software can also stitch machine learning and AI tools into every step so they become an intuitive part of the process, instead of a cumbersome addition. Although AI has mostly been used during resume review, this technology can and should be expanded to rest of the process, guiding how managers draft job descriptions so that they are accurate, communicate the most important aspects of the position, and will appeal to a wide range of candidates, ensuring your applicants represent the full pool of potential talent that can succeed in this role. AI can also help continually guide HR teams back to the qualities and capacities that matter most to this position. That can mean helping interviewers create questions that are relevant, behavior-based, and consistent with other interviewers so that every candidate has a consistent experience. It can also mean scoring candidates so that HR teams can see, without a doubt, which applicants are qualified and why. Whether you are a Fortune 100 powerhouse or a nimble and growing startup, whether you are looking for a C-Suite executive or a daring creative, your needs remain the same: find great candidates with proven abilities to succeed and convince them to work for you and not your competitor. While the objectives are clear, the task is herculean. With the structure, support, and guidance of AI hiring technologies, HR professionals are finally fully empowered to create meaningful interviews, build positive relationships with candidates, and make great decisions and find the perfect hire every time. 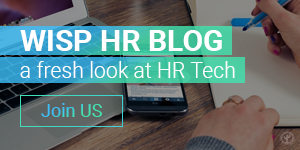 If you want to share this article the reference to Laura Mather and The HR Tech Weekly® is obligatory.